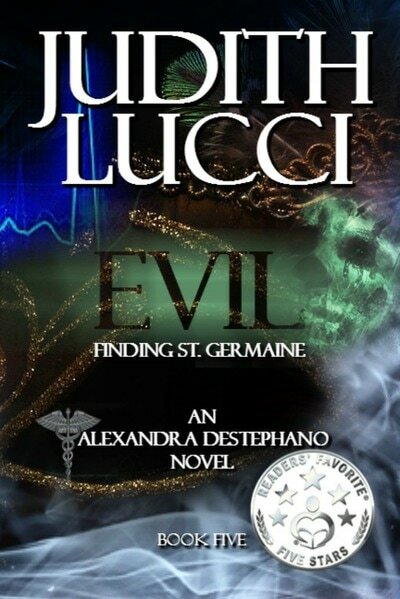 ​Book 4, Toxic New Year: The Day That Wouldn’t End & Book 5, Evil: Finding St. Germaine. Below you can find more from Judith Lucci! Its Mardi Gras season in post-Katrina New Orleans. Thousands of tourists have flocked to the city, paralyzing traffic and jamming the French Quarter with drunken crowds and garbage. City officials are hoping for record crowds and to generate the biggest boost to the Crescent City since the big storm. Alexandra Lee Destephano, legal counsel for the “world class Crescent City Medical Center, is anticipating her third Mardi Gras Season and most of all, her date with dashing art historian Mitch Landry. The couple has tickets to the Endymion Extravaganza, the biggest Mardi Gras Ball in New Orleans at the Super Dome on Saturday evening. After many months, life is good again and Alex is determined to experience and appreciate all it has to offer. She can hardly wait until Saturday evening. But, things change. Alex is stat-paged to the Medical Center at 6:00 am on Monday and learns from her CEO boss, and her former husband, Dr. Robert Bonnet that Grace Raccine, the Governor of Louisiana and a cancer patient at CCMC, has been found unconscious in her room covered with blood with no visible injury. To make matters worse, patients are leaving CCMC against medical advice and staff are refusing to work creating crisis and chaos in the changing Obamacare hospital environment. By the end of the day, the Endymion Ball is the last thing on Alex's mind! 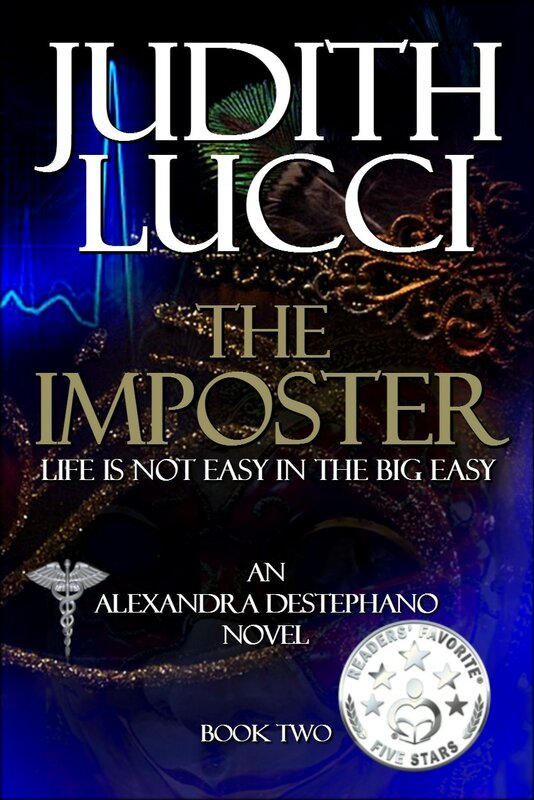 The Imposter by Judith Lucci is the second book in the Alex Destephano series, a gripping medical thriller that will entertain readers and have them enthralled for a very long time. The story starts with the newly promoted police commander Jack Françoise, “a man’s man,” yelling obscenities and cursing over the unsettling news of a murder case, one among many that he’d have to handle. But there is more to keep the authorities concerned and everyone looking over their shoulders, because the criminally insane are rising like maddened beasts at the psychiatrist hospital where Monique Desmonde, Alexandra Destephano, and Robert Bonnet work as a psychiatrist, a nurse attorney, and a reformer respectively. Hold your breath for a terrific ride with this new medical thriller. 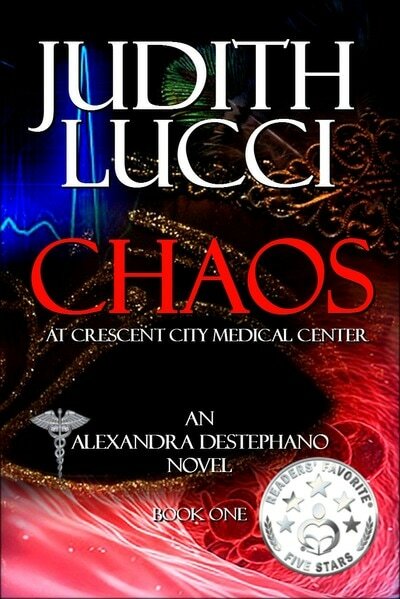 Judith Lucci gets many credits for her awesome writing, her unique, gripping style, her powerful voice, and for the gift of storytelling. She seems to write from the psychiatric ward, coming across very convincingly to readers. The characters are well-grounded and monumental, and readers will love to see each of them evolve in their role as the story progresses. Apart from being a great storyteller, the author has a gift for developing plot-driven conflict, and characters with attributes that many readers will certainly identify with easily. From the very first line of this story, the reader is already warned that there is much at stake. The plot is well-paced and it moves even faster as the conflict reaches a climax, enhanced by the short, punchy chapters that make it impossible to put the book down. As a reader, you’ll find yourself saying, “Just one more chapter” until you turn the last page. Highly entertaining. 2017 Reader's Favorite Gold Medal Winner for Best Suspense Thriller! I knew where this story was going when I read the quote from the Quran on page five, right after the dedication. I love New Orleans. I grew up about a three-hour drive from there so I have visited often. Judith Lucci gets the feel of the city right in Viral Intent. Viral Intent starts in an emergency room and ends with a party. As you can imagine, that is one hell of a roller coaster ride. A ride that includes nurses, doctors, terrorist, cops, and politicians. I imagine this scenario has at least been thought about by a lot of nervous Americans concerned with the war on terror. Judith Lucci has created a thrilling suspense novel based on the possibility that the next time terrorists decide to target the United States, they will use something a little subtler than airplanes, guns, or bombs. A great idea. I liked Viral Intent. I especially liked that Judith Lucci got the setting right. She put us there in a big hospital and the hospital scenes were well written and very tense. Judith also got the police and terrorists right, and having terrorists who are international students studying at an American university is a timely detail with the current public discussion on immigration and one candidate’s idea to ban all Muslim entry into our great country. 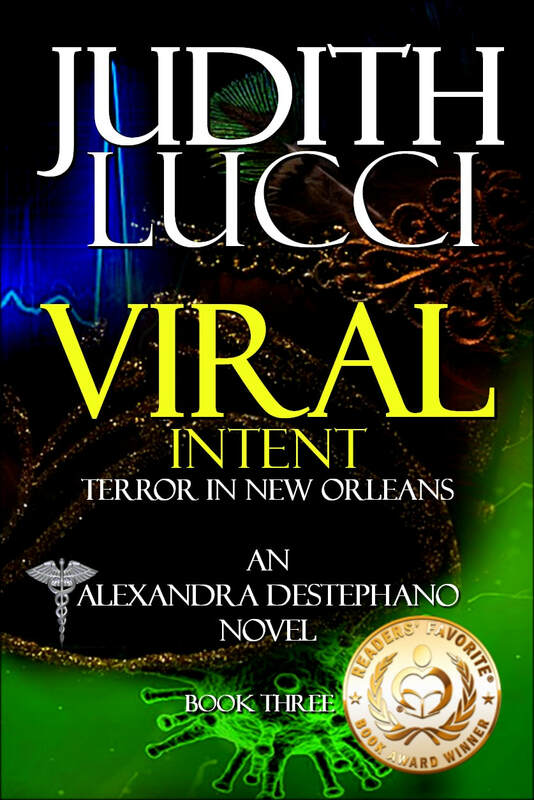 With a great plot and lots of interesting characters, I found Viral Intent hard to put down. If you love terrorist stories, politics, or medical drama, then this is definitely the book for you. 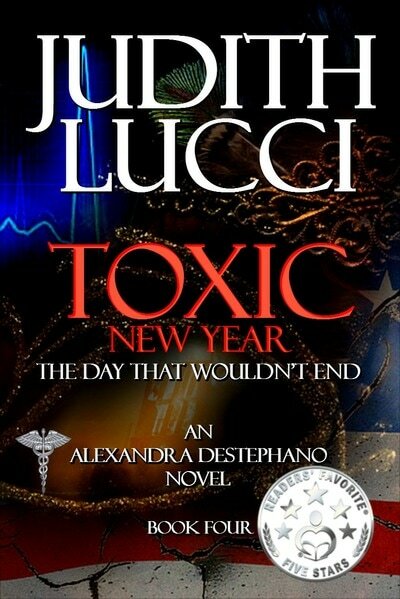 Toxic New Year: The Day That Wouldn't End (Alex Desephano Series Book 4) by Judith Lucci is a mix of multiple genres: thriller, mystery, medical drama, suspense, action, and terrorism. Toxic New Year will appeal most to an adult audience that enjoys fast paced thrillers with terrorist elements mixed in; it will especially appeal to those who enjoyed books one through three of the Alex Desephano series. Toxic New Year focuses on both the heroes and the villains of the plot to wreak havoc during a party at Congressman Adam Patrick Lee’s country estate located in Virginia. Congressman Adam Patrick Lee also happens to be the grandfather of the main character, Alex. Toxic New Year can pull in any reader, no matter if he or she has not read the books that came before it in the Alex Desephano series. 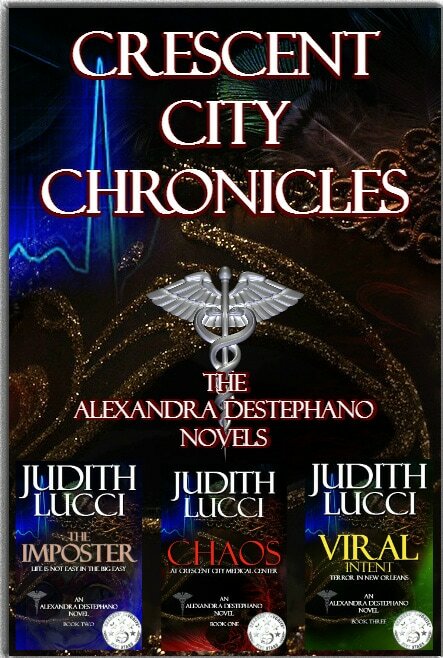 I have to say that my favorite aspect of the book was how Judith Lucci did not just write from the perspective of the good guys and heroes, but also from that of the villains. This made it possible for me to understand the motivations of some of the bad guys and even feel sympathetic toward some of them. However, at the same time Alex most definitely remained my favorite character because of the way she handled the situations and interacted with the other characters. When I finished reading Toxic New Year, I was left feeling like I wanted to jump into the previous books in the Alex Destephano series so I can learn more about Alex and her relationship with Robert. 2017 Reader's Favorite Gold Medal Winner for Best Sleuth! 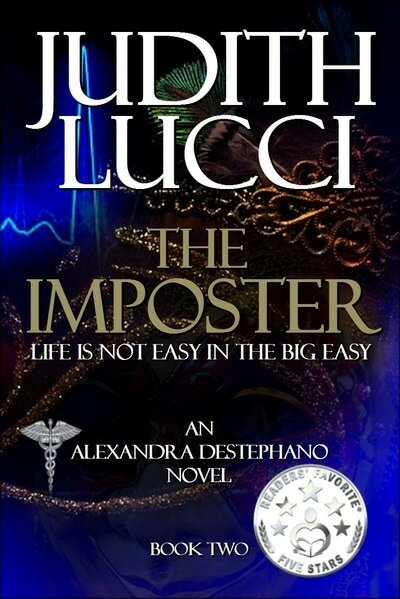 Get a copy of one of Judith Lucci's books today! Click Here! 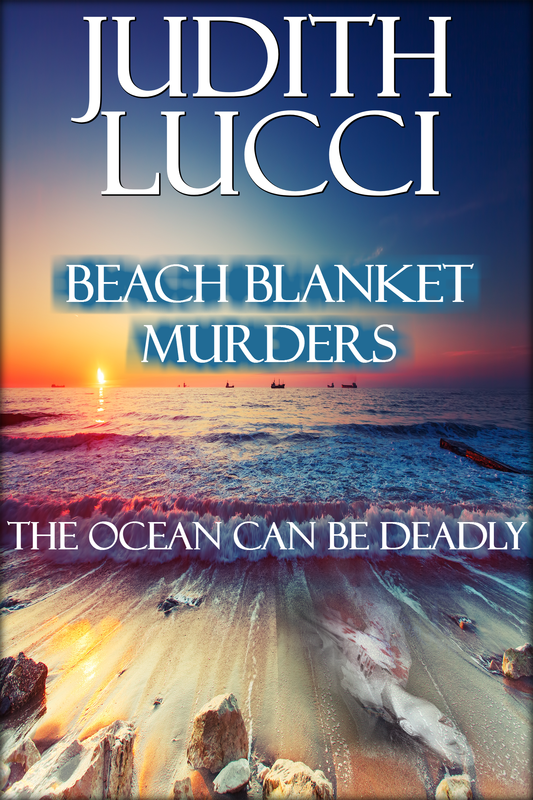 The Case Of The Man Overboard by Judith Lucci!!! Get this set for $0.99! Short & Fun Stories, Vol. 1 anthology is designed for the busy person with a few minutes to escape. Within these pages are fourteen of the best writers in the business. You will laugh, cry and shiver, just like with any great novel. The advantage here is that you will get right to the meat of the action, within minutes, without frills. Unlike other short story collections, this one is by several different authors, thus the variety is beyond wonderful, it is awesome! The authors are all successful published writers with many prize-winning full-length novels to their credit. For some, short stories were right up their alley. For others, writing a short story was a new endeavor, but they accepted the challenge and came through with delightful results. Each piece is preceded by a short editorial comment giving you a preview and an estimated duration, so that you can open one that fits your mood and reading time available. Following each story you will find a short bio of the author and an introduction to his/her novels, for your consideration. If you find an author you like, there are easy links to more books by the same writer. Get Short & Fun Stories!